Two Weekends: Part 1: Nov. 17-18. Part 2: Dec. 8-9, 2012. 9am to 5pm. This is a bring your own laptop class. Must be CS6 capable. We'll provide everything else, including spending time configuring your machine with the proper drivers, color management and settings. A four-day workshop concentrating on Photoshop as the critical photo processing tool and the new features in Photoshop CS6 that make it even more powerful. This is not a class about image alteration, but rather about a straightforward photographic path through the huge set of possibilities that is Photoshop. We explore the fundamental editing tools that this powerful program provides to photographers for image finishing. 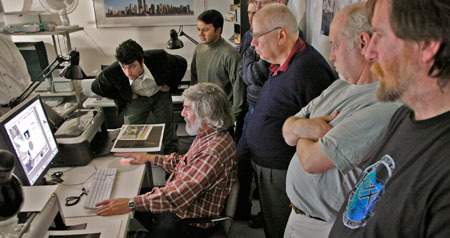 This workshop continues a new series of classes concentrating on the tools within Photoshop critical to Photographers. 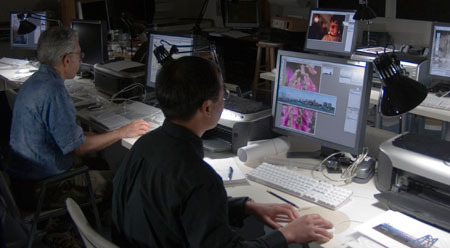 It is a great chance to explore digital photographic editing with Steve in his custom-built lab. Hands-on help and demonstrations of his use of editing tools, executed with restraint and finesse, will benefit all of your digital photography work. This class is designed to break down the steps to really understand the processes, and to work through difficult images. These four days will be spent exploring the tools really needed by photographers for digital photographic processing and finishing for realistic representation of what they saw with their eyes. Color correction, careful tonal control, and preserving options into archive versions of your files will be our primary concerns. Software concentration will be mainly on Adobe Photoshop, but will look at other tools as well like Adobe Lightroom. A number of images with various challenges will be worked through to satisfaction during the course of the workshop. This is a bring your own laptops class. We are doing this for two reasons, we have not yet upgraded our lab machines to run CS6, and we are determined to empower people as deeply as possible. We'll spend time configuring your machine with the proper drivers, color management and settings. 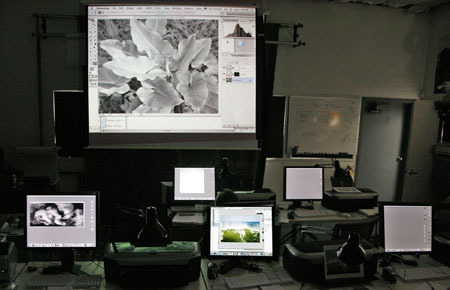 Full lab access is provided with access to color management tools and printers. This seminar is not about compositing or faking photographs. Some previous exploration of Photoshop is recommended. You must at least have the 30-day trial version of Photoshop CS6 installled. A photographer, teacher and designer, Stephen has been teaching and working in photography since 1977. His books include At Mono Lake, the critically acclaimed The Great Central Valley: California's Heartland and Making a Digital Book. He runs his own photography, publishing and design company--scanning and designing his photographic books and since 1994 photographing in the field with digital view cameras. Current projects include With a New Eye, his groundbreaking and historic all digital national parks project, a new book Stephen Johnson On Digital Photography for O'Reilly, ongoing portfolio development and extensive lecturing. Stephen's pioneering work in digital photography, desktop color separations and digital imaging has included software and product development for clients such as Apple, Adobe, Eastman Kodak, Epson, Foveon, Hewlett Packard, Leaf, Ricoh and SuperMac. His work with Adobe includes the creation of the duotone curves shipped with their Photoshop software. His photographic clients have included the Ansel Adams Publishing Trust, the Fine Arts Museums of San Francisco, and the Friends of Photography. Johnson's photographs have been widely published and collected internationally. 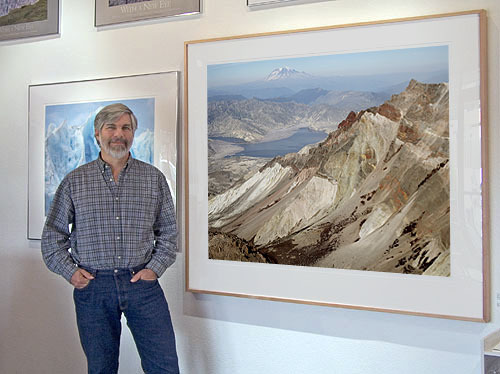 He has received numerous awards and grants for his photographic work, including an NEA for At Mono Lake, awards from the Bay Area Book Reviewers Association, the Commonwealth Club of California and the Golden Light Award for the Great Central Valley. The New York Times named the Valley book as one of the eight best photography books of 1993. In 1999, Folio Magazine declared the publication of Johnson's digital photographs in Life Magazine to be one of the Top 15 Critical Events in magazine publishing in the twentieth century. Stephen Johnson was named as a 2003 inductee into the Photoshop Hall of Fame, recognized for his achievements in Art. Canon named Steve as one of their Explorers of Light in 2006.